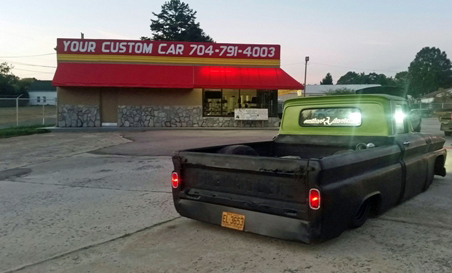 Welcome to the YourCustomCar.com Custom Street Cars Blog! Here you will find updates to all of our web pages, our hottest new products and the latest in custom car and truck trends. Please be sure to click on "that orange button" to subscribe to our RSS feed in order to stay informed about our website and all of its new features. Use the best air suspension valves if you want your air bag suspension setup to be reliable! We offer air bag valves in 1/2 in, 3/8 in, and 1/4 in to choose your lift and lowering speed! 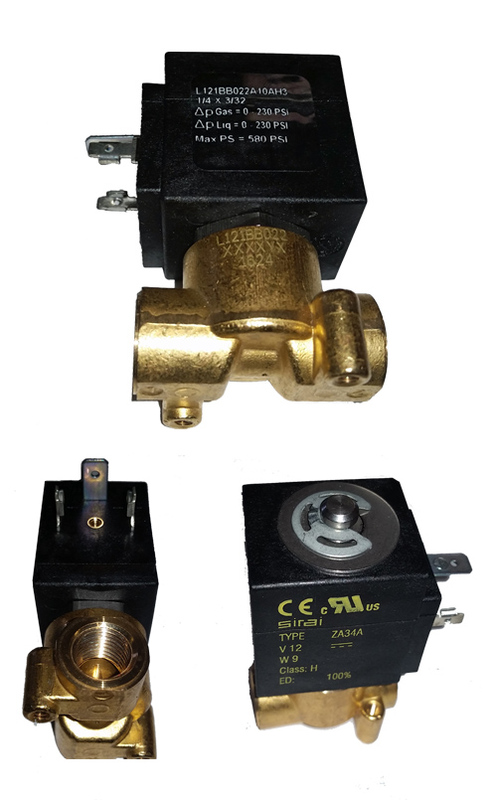 Continue reading "air suspension valves"
The slower speed 1/4 inch brass air bag valve we offer is the best on the market. High quality brass construction, 230 psi rated, 1/4 thread, slower air flow! 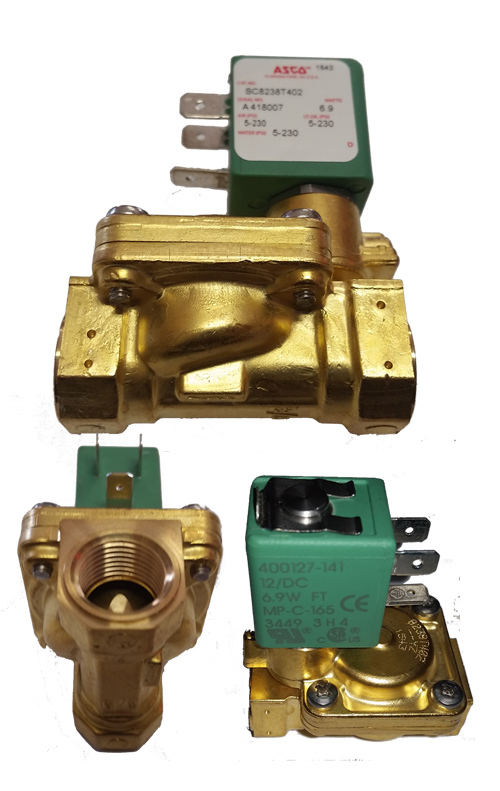 Continue reading "Slow Speed Air Bag Valve 1/4 inch"
The medium speed 3/8 inch brass air bag valve we offer is the best on the market. High quality brass construction, 230 psi rated, 3/8 thread, medium air flow! Continue reading "Medium Speed Air Bag Valve 3/8 inch"
The AccuAir E Level systems manage the height of up to 4 Air Springs or air bags and offers never before seen accuracy in all applications by constantly learning your vehicle's characteristics. We are proud to offer AccuAir products at our always low prices! Continue reading "AccuAir E Level For Air Bag Suspension"
AccuAir air suspension products are designed to bring you reliability, ease of use, improved handling, and ride comfort for your vehicle's air suspension through the use of industry-leading technology and the highest quality components available. 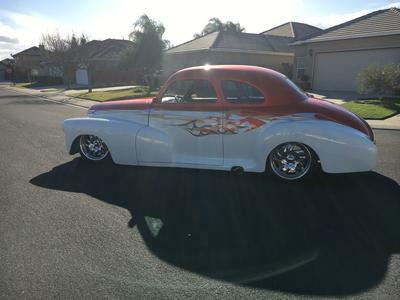 Continue reading "Accuair Air Suspension"
Continue reading "My 1948 Chevy Coupe 500hp." Newly introduced is the Airlift 3P / 3H Air Management System which is the easiest to use, most advanced, easy to install, pressure and height based, air bag suspension air management package on the market! We are excited to offer it to you at YourCustomCar! Continue reading "Airlift 3P 3H air bag Suspension Controller"
Continue reading "2004 gmc envoy"
Our Flame Bag Plate mounts between the bridge bars in your truck's rear air suspension. 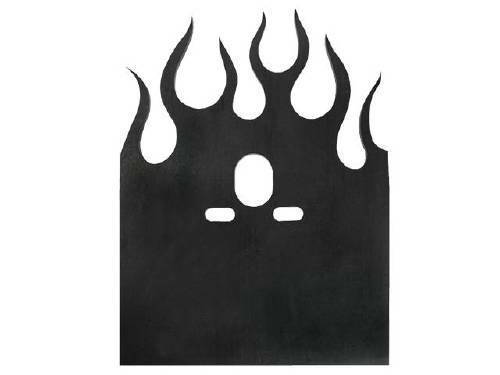 These give you a place to mount your bags to and also further reinforce the bridge bars, plus they have flames cut out for some extra flair! 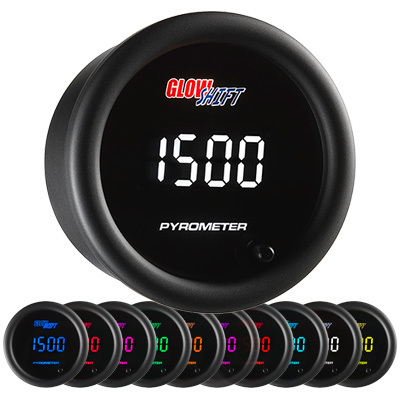 Continue reading "Flame Bag Plate"
Our 10 Color Digital Gauges offer the readings you need with the customization you want. The 10 Color Digital Series is available in a variety of gauge types. Keep an eye on those Engine RPMs with our Digital Tachometer Gauge! With this gauge you will easily be able to see exactly how many Revolutions Per Minute your engine crankshaft is making from 0-10,000 rpm. This can be used on any 1 through 10 cylinder gas engine which makes it a great addition to your performance vehicle. This gauge is electronically driven and has LED lighting that allows you to change the color at the push of a button. Continue reading "digital tachometer gauge"
Read your engine's Air/Fuel mixture with this 10 Color Wide Band Digital Air Fuel Ratio Gauge. The incredible accuracy of this gauge will allow you to see the exact mixture of air vs fuel in your exhaust system from 10.0 to 20.0 AFR. 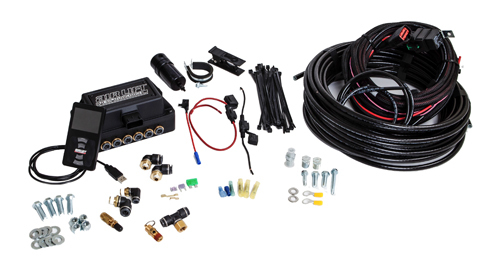 Includes Oxygen Sensor, Bung, Wideband Controller, and Harnesses! Continue reading "digital air fuel ratio gauge wideband"
Read your engine's Air/Fuel mixture with this 10 Color Digital Air Fuel Ratio Gauge. The incredible accuracy of this gauge will allow you to see the exact mixture of air vs fuel in your exhaust system from 10.0 to 20.0 AFR. This will tell you if your engine is running rich (too much fuel) or lean (not enough fuel) and help you to achieve lower emissions and better fuel economy by knowing your ratio and making any neccessary adjustments in your engine. Continue reading "digital air fuel ratio gauge narrowband"
Know exactly what your vacuum level is with this Digital Vacuum Gauge that measures vacuum from -30 to 0 inHG. The incredible accuracy of this gauge will allow you to see if your engine has any air leakage from vacuum hoses, gaskets, or diaphrams. Air leakage can cause issues like rough idling, poor shifting, power brake failure and more. Continue reading "digital vacuum gauge"
Know exactly what your battery voltage is with this Digital Volt Gauge. This Gauge will show actual voltage ranging from 8 to 18 volts. Its important to know what your voltage is to make sure that your alternator is operating and charging proplerly so you don't get stranded with a dead battery somewhere. Continue reading "digital volt gauge"
Read your nitrous (N02, NOS) pressure with our 10 Color Digital Nitrous Pressure Gauge and know exactly how many psi your nitrtous system is running at from 10 to 1600 psi. This gauge can be set up to read bottle pressure or delivery pressure. It is important to know your NOS pressure level because if you are running Nitrous in your car or truck engine. Continue reading "digital nitrous pressure gauge"
Read your fuel pressure with our 10 Color Digital Fuel Pressure Gauge and know exactly how many psi your fuel system is running at from 0 to 100 psi. It is important to know your fuel pressure level because if you are running fuel pressure levels that are too low and go unnoticed, it could result in a loss of horsepower or damage to the fuel pump and injectors. Continue reading "digital fuel pressure gauge 100"
Read your fuel pressure with our 10 Color Digital Fuel Pressure Gauge and know exactly how many psi your fuel system is running at from 0 to 30 psi. It is important to know your fuel pressure level because if you are running fuel pressure levels that are too low and go unnoticed, it could result in a loss of horsepower or damage to the fuel pump and injectors. Continue reading "digital fuel pressure gauge 30"
Use this 10 Color Digital Oil Pressure Gauge to keep a close eye on your engine's oil pressure. Oil pressure is important to know because this tells you that your engine is being properly lubricated to protect the intermal moving parts like the crank bearings, cam shaft bearings, piston rings, lifters, etc. Continue reading "digital oil pressure gauge"
Use this this 10 Color Digital Oil Temperature Gauge to keep a close eye on your engine oil temperature. Electronically driven and capable of accurately reading your engine’s coolant temperature from 68 to 302 degrees Fahrenheit. An oil temperature gauge is essential for any car or truck because it allows you to closely monitor the temperature of your vehicle's engine oil to ensure it does not overheat and cause major damage to the engine internals. Continue reading "digital oil temperature gauge"
Closely monitor your engine temperature with this 10 Color Digital Water Temperature Gauge. Electronically driven and capable of accurately reading your engine’s coolant temperature from 68 to 302 degrees Fahrenheit. Continue reading "digital water temperature gauge"
Our 10 Color Digital Transmission Temperature Gauge is electronic and reads fluid temperatures from 68 to 302 degrees Fahrenheit. Overheated transmissions are a BIG NO NO! The easiest way to cost yourself a lot of money in repair is to overheat your transmission. This is why our transmission temperature gauge is so important for any car or truck since it allows you to closely monitor how hard your transmission is working by displaying the temperature in an easy-to-read digital display. Continue reading "digital transmission temperature gauge"
Our 10 Color Digital EGT Gauge is electronically driven and reads the exhaust temperature generated by your engine from 200 to 2200 degrees Fahrenheit. An Exhaust Gas Temperature gauge is essential for any car and allows you to closely monitor the engine exhaust temperature to make sure it isn’t running too hot. Continue reading "digital egt gauge"
Visit YourCustomCar.com for tips on building Custom Street Cars, custom trucks, car show coverage, and to get the custom parts and accessories you need to hook up your ride!. We can help you get the look you want! Continue reading "Custom Street Cars and Sport Truck Accessories"
Our 10 Color 60 psi Digital Boost Gauge is electronically driven and reads boost pressure from 0 to 60 PSI with incredible accuracy. A boost gauge is a must-have for any diesel truck that runs high boost pressure by displaying those vital levels to avoid over or under boosting which could lead to critical engine damage. Continue reading "digital boost gauge 60"
Our 10 Color Digital Boost Gauge is electronically driven and reads turbo pressure from 0 to 45 PSI. This gauge can also read vacuum levels from -30 to 0 (inHG) with unrivaled accuracy. Continue reading "digital boost gauge 30"
AccuAir Products are designed to bring you reliability, ease of use, improved handling, and ride comfort for your vehicle's air suspension through the use of industry-leading technology and the highest quality components available. We are proud to offer AccuAir products at our always low prices! The AccuAir Valve Unit (VU4) is engineered to provide the cleanest installation and most reliable operation on the market. 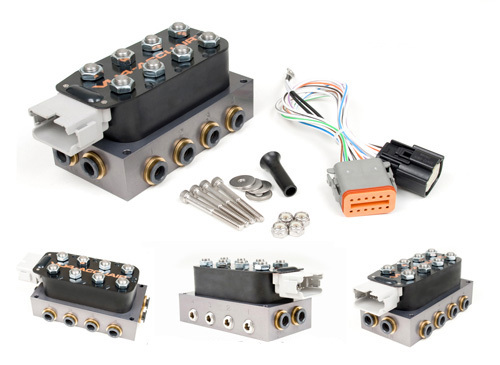 This electronic solenoid valve unit inflates and deflates up to (4) individual Air Springs and has built-in push-to-connect 3/8” D.O.T. approved air fittings for all of its plumbing connections. We are proud to offer AccuAir products at our always low prices! 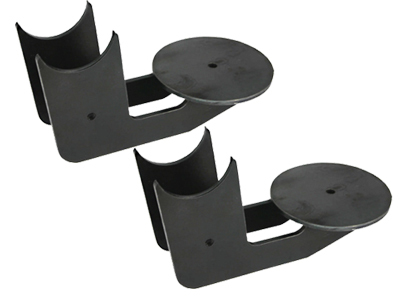 Continue reading "AccuAir Valve VU4"
This behind aqnd under air bag bracket set will allow you to place your air bag lower than your axle which will give you more room to get your bags lower overall. These have cut-outs for a 2.75 inch diameter axle housing. 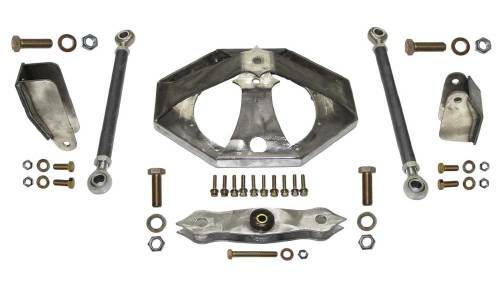 Continue reading "behind and under axle air bag bracket 275in"
Our KPC Watts Link for 99-07 GM Trucks (with 10 bolt rear end) is used to keep the rear axle aligned and centered in the frame throughout the entire suspensions travel! Continue reading "kpc watts link 99-07 gm"